Suzuki are giving GSX-R owners free tickets for this year's Motorcycle Live, as part of the GSX-R 30th anniversary celebrations taking place over the course of the show. 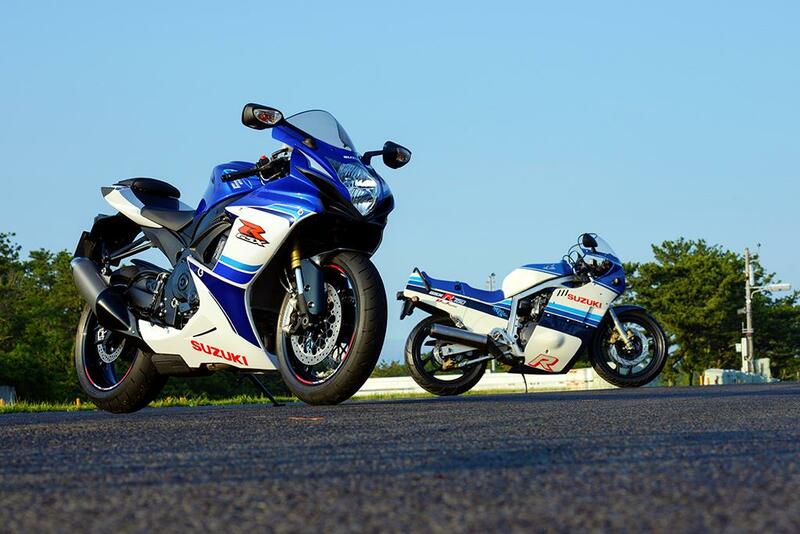 A selection of classic GSX-R models from the last three decades will form the anniversary display, which also includes the winning bikes from Suzuki's competition that invited owners to get their GSX-Rs involved in the display too. An original GSX-R750F will also be rebuilt and restored to its former glory on the Suzuki stand throughout the event. "The GSX-R 30th anniversary celebrations are going to be a real highlight of this year's Motorcycle Live, and inviting owners to come and be involved is our way of thanking all of our loyal customers for their support over the years," said Suzuki GB Marketing Manager, Rob Cooper. "GSX-R is arguably the most recognisable brand in modern motorcycling and is responsible for sportsbikes as we know them today. We're looking forward to marking 30 years of such an iconic range of bikes with everyone that comes along." Suzuki's GSX-R display can be found on stand 4E15. GSX-R owners wanting to claim their free ticket should head to the Suzuki Competition page.